03 September 2018 – Geneva, Switzerland: ADB, a leading provider of hardware and software solutions for TV and broadband networks, has today announced the addition of a new Mesh solution to the company’s portfolio. Designed specifically to support broadband and TV operators in delivering reliable wireless connectivity, ADB Mesh improves the coverage and performance of Wi-Fi networks. “At ADB we know very well how important it is for our customers – multi-play operators, to deliver at reduced system cost a reliable high quality broadband connectivity and best-in-class TV experience. Especially these days when their subscribers consume more and more high density content from the Internet. With our Mesh solution, operators are equipped to accomplish their goals on service delivery.” – says Rolf Seibl, Deputy CEO at ADB. One of the unique advantages of ADB’s Mesh implementation is its interoperability. 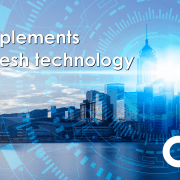 ADB’s Mesh works seamlessly across different Wi-Fi hardware chipsets and, because it is EasyMesh™ ready, it can cooperate with all new Mesh solutions coming to the market in the future. Moreover, ADB offers its solution in two versions: standalone, which can be added to the existing home network, and a more effective integrated version, where Mesh technology is implemented in all ADB devices (broadband gateways, set-top boxes and mesh nodes), making the deployment of Wi-Fi Mesh network much simpler and optimized. Additionally, ADB utilizes its unique expertise in broadband industry to further improve the Wi-Fi performance and user experience. The company develops its own, more advanced versions of fundamental algorithms responsible for Mesh nodes positioning and steering the client devices between them. Both algorithms are essential to build the most efficient network topology and provide smooth transfer of the client devices between Mesh gateway and nodes. 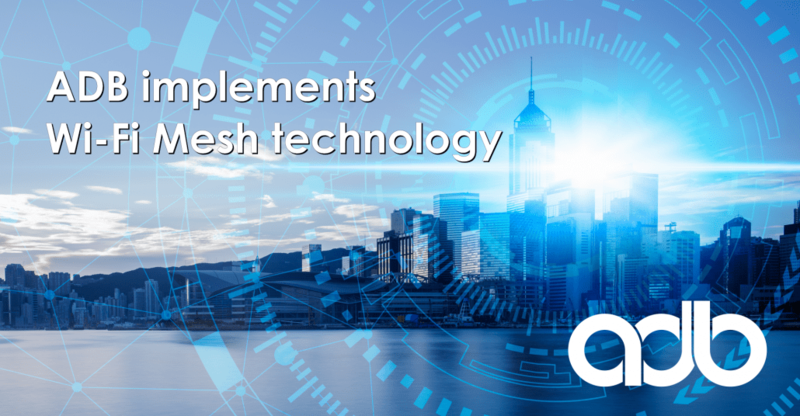 ADB’s Mesh solution is a complete proposition for the operators, that includes: Cloud Platform for configuration and management, a user-friendly application for easy Mesh nodes’ installation, a portfolio of ADB devices supporting Mesh technology and Epicure – diagnostic and troubleshooting platform ensuring the best quality of service. Mesh solution as a part of ADB’s comprehensive offer for pay-TV and broadband operators will be presented at IBC 2018 (Hall 5. B60).